Land Administration and Property Rights – How to Achieve the Basic and Fundamental Structure? 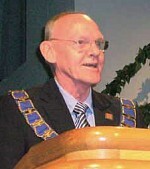 – Geoffrey Payne, Geoffrey Payne and Associates, U.K. 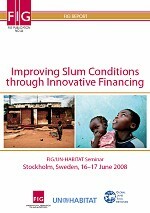 This publication is a summary report of the seminar “Improving Slum Conditions through Innovative Financing”, which was jointly organized by the International Federation of Surveyors, FIG and the United Nations Human Settlements Programme (UN-HABITAT) and took place in Stockholm, Sweden on 16–17 June 2008. This two-day seminar, which was dedicated to adequate and affordable housing for all, was an integrated part of the FIG Working Week. The seminar focused on the essential elements of a just and sustainable provision of adequate shelter, from the twin perspectives of land and finance. It brought together leading actors from the public, private and non-governmental sectors working on land and housing finance issues. Within this framework, the seminar focused on the main issues of access to land, security of tenure and access to finance. Without security of tenure, the poor are at daily risk of eviction and, in the longer term, are reluctant to invest in long-term shelter improvements. Without access to affordable finance, poor people are caught in a vicious cycle in which affordable housing is inadequate, but adequate housing is unaffordable. Surveyors and land professionals play a key role in linking functioning markets for housing and finance. Therefore FIG is keen to co-operate with UN-HABITAT in this area as part of the long-term co-operation between the two organizations. The FIG/UN-HABITAT seminar brought together some of the leading innovators in the areas of land and finance. The seminar was structured as a practitioners’ dialogue – communication across professional and institutional perspectives. A total of eight Dialogues were held. Amongst the core issues discussed were various forms of individual and collective rights, women’s equal access to land and finance, spatial planning, security of tenure and innovative financial instruments. Proceedings of the seminar are available at www.fig.net/pub/fig2008 and a dedicated web site for the project at www.justnsustshelter.org. This report provides a summary of the presentations that were given to catalyse the Dialogues, the key issues that emerged in the Dialogues themselves, and the conclusions reached and directions for the way forward that were put forth at the seminar’s closing. 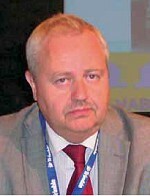 The result of the seminar aims to provide a valuable contribution to the IV World Urban Forum, to be held in Nanjing, China in November 2008. The publication is a joint effort of FIG and UN-HABITAT and is published in the FIG Report series. The seminar “Improving Slum Conditions through Innovative Financing” was organised jointly by FIG and UN-HABITAT. It was made possible by the generous support from Swedish authorities: Lantmäteriet (the National Mapping, Cadastre and Land Registration Authority of Sweden), the Swedish Government (the Ministry of the Environment and the Ministry of Foreign Affairs), Swedesurvey and Statens Bostadskreditnämnd BKN (National Housing Credit Guarantee Board). We would like to express our thanks to all speakers and participants who attended the dialogues and contributed to this report. Our special thanks go to Ms. Ann Jennervik, who was in charge of organising the seminar together with Mr. Bengt Kjellson and Mr. Lars Magnusson. We also thank Mr. Brett Shapiro who has been the editor of this report together with Mr. Szilard Fricska from UN-HABITAT and Professor Stig Enemark from FIG. As an integrated part of the International Federation of Surveyor’s (FIG) Working Week, a two-day seminar was dedicated to adequate and affordable housing for all. 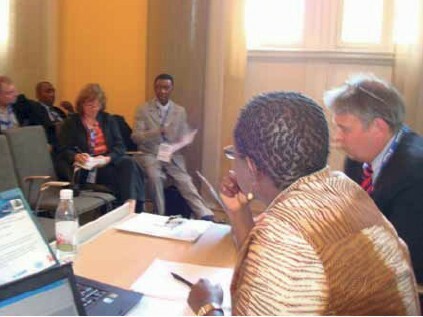 The seminar, “Improving Slum Conditions through Innovative Financing” was jointly organized by FIG and UN-HABITAT and took place in Stockholm, Sweden on 16–17 June 2008. The meeting brought together leading actors from the public, private and non-governmental sectors working on land and housing finance issues. The seminar focused on the essential elements of a just and sustainable provision of adequate shelter, from the twin perspectives of land and finance. The role of land and finance provision can be conceptualized as the challenge of linking the various components of “the Land Administration Chain”: mapping; planning; property and land rights; cadastral services; valuation; financial services (see figure below). Linking the Land Administration Chain. Within this framework, the seminar focused on the main issues of access to land, security of tenure and access to finance. Without security of tenure, the poor are at daily risk of eviction and, in the longer term, are reluctant to invest in long-term shelter improvements. Without access to affordable finance, poor people are caught in a vicious cycle in which affordable housing is inadequate, but adequate housing is unaffordable. The theoretical solution to this dilemma is a well-functioning land and housing market; however, experts around the world recognize that these same markets are often dysfunctional, and arguably represent the most consistent bottleneck undermining long-term city development. Market access is built on transparency, low transaction costs and good access to reliable property information as well as property financing. Facilitating efficient land markets and effective land-use management is therefore critical to sustainable urbanization. Surveyors play a key role in linking functioning markets for housing and finance. Support to this aim is being provided, but despite 30 years of efforts, political commitments and reiterated priority to the issue, little has been achieved. Building up the key institutions that can manage the public systems providing key public goods is at best a slow process. The vested interests of a wide variety of stakeholders conspire to maintain the status quo. There are signs of progress, however, and the FIG/UN-HABITAT seminar brought together some of the leading innovators in the areas of land and finance. The seminar was structured as a practitioners’ dialogue – communication across professional and institutional perspectives. A total of eight Dialogues were held. Each set of Dialogues was prepared through sharing inputs at the interactive website www.justnsustshelter.org and through the introductory presentations at the Plenary and Presentation sessions. Amongst the core issues discussed were various forms of individual and collective rights, women’s equal access to land and finance, spatial planning, security of tenure and innovative financial instruments. The seminar aims to provide a valuable contribution to the next World Urban Forum, to be held in Nanjing, China in November 2008. This report provides a summary of the presentations that were given to catalyze the Dialogues, the key issues that emerged in the Dialogues themselves, and the conclusions reached and directions for the way forward that were put forth at the seminar’s closing. The International Federation of Surveyors, FIG, is an international, non-government organisation (NGO) whose purpose is to support international collaboration for the progress of surveying in all fields and applications. FIG aims to mobilize the next generation of land professionals to continue to develop innovative solutions to address global inequality in access to land and security of tenure. FIG’s annual “Working Week” took place in Stockholm, Sweden and was the biggest Working Week ever held, with 950 participants from 90 nations attending the event and exhibition. In addition to the plenary sessions, there were over 70 technical sessions, with almost 350 presentations and technical tours. A strong attraction was the two-day joint FIG/UN-HABITAT seminar on “Improving Slum Conditions through Innovative Financing,” which was an integral part of the entire Working Week. FIG is strongly committed to the Millennium Development Goals (MDGs) and to supporting the work of the Global Land Tool Network (GLTN), whose aim is to contribute to poverty alleviation and the MDGs through land reform, improved land management and security of tenure. UN-HABITAT is the United Nations agency for human settlements. It is mandated by the UN General Assembly to promote socially and environmentally sustainable towns and cities with the goal of providing adequate shelter for all. 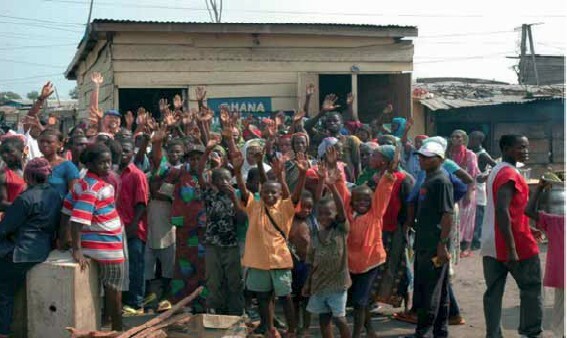 Within this mandate, the Slum Upgrading Facility (SUF) provides global assistance for the design and implementation of locally produced ‘bankable housing projects’ so that groups of low income residents and their local authorities can attract domestic commercial finance as a significant part of the funding of their sustainable neighbourhood slum upgrading and low-income housing projects on a community-led repayment scheme basis. With respect to land issues, UN-HABITAT also hosts the Secretariat for the GLTN. GLTN partners have identified 18 key land tools to deal with poverty and land issues at the country level across all regions. 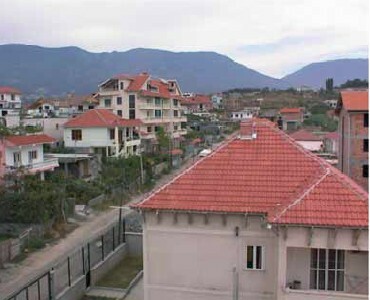 One of GLTN’s work areas is the nexus between intermediate forms of tenure and access to housing finance for the poor. The theme during the first day was Land Use Management and Property Rights. Land Administration is a term used to describe all the processes connected to a functioning property system. This includes land management, planning and monitoring land use, the creation and keeping of cadastre, the establishment, recording and protection of different kinds of property rights and the securing of mortgage rights in order to make capital available to property owners or leaseholders. Land administration systems look different in different countries and regions and are evolving in different ways. This is due to the political circumstances, cultural and legal traditions and economic conditions that exist in each particular setting. Mr. Astermo welcomed all of the participants, mentioning that the 950 participants from 90 countries represented an all-time high for the FIG Working Week. He was particularly pleased to see the presence of so many students, given that they are the key to “integrating generations” – creating the bridge between countries, cultures and ages. Mr. Enemark reiterated FIG’s support of the concept of integrating generations, acknowledging the many students and young surveyors present who represent the future. He also mentioned a full-page article that appeared in one of the major Swedish daily newspapers in which surveyors were called upon to address the problems of the slums, and stated that FIG is becoming a major partner in achieving sustainable development. At the same time, there is a need to better understand the very key role that the profession plays in sustainable development at the national and local levels. The work of surveyors forms a kind of backbone to society and is a key component to the achievement of the MDGs. The global development agenda is about eradication of poverty in all its forms. Property is not only an economic asset, he stressed, but secure property rights also provide a sense of identity and belonging that goes far beyond economics, and underpins democracy and human freedom. Land surveys have a key role to play in developing pro-poor systems. Professor Enemark then introduced the concept of land governance, which is the governmental side of managing physical space for power, wealth and human well-being. The key challenges of the new millennium are related to climate change, urban growth, environmental degradation, natural disasters and food shortages. All of these challenges relate to the governance and management of land. Thus, land governance and management are going to be important subjects for surveyors, issues which will require new models to predict and address changes, and land administration systems that can manage the core functions of land value, land use and land development. Mr. Carlgren emphasized that land professionals “have such an important key role to play, to combat environmental threats, to combat poverty and slums and to support the development of this globe and its cities.” He then tied two ribbons together as a symbol of integrating generations. land in a way that promotes sustainable urbanization. I hope this meeting will help set a new agenda for sustainable development and climate change. © FIG Mr. Carlgren stated that one half of the earth’s systems are in the process of being destroyed and that there are serious risks and consequences for combating poverty and access to clean water, the effects of which can be seen in droughts, floods and outbreaks of environmentally related diseases. He recounted a meeting of environmental ministers from 30 countries from around the world that took place in the north of Sweden. The participants were standing close to the largest river in the north of Sweden and were drinking from its water and talking about the destruction of rain forests in Brazil and the risk of flooding of hundreds of islands. As they stood there, they experienced the connections and the distances shrinking. The participants felt that the world is closely connected, both in terms of threats and hopes. Mr. Carlgren urged everyone to commit themselves to combat climate change and to strive towards a global agreement next year in Copenhagen in 2009, the year in which Sweden will hold the presidency of the European Union. He affirmed that Sweden is prepared to reach a global agreement and knows that the world will undergo an enormous shift towards sustainable development – simply because it must. Mr. Carlgren then spoke about the scale of urbanization taking place in developing countries, with 18 million people moving from the country to cities each year in China alone. Each day the global urban population grows by 180,000. A major part of all construction will take place in the large developing countries. How these cities are built will have an enormous impact on the environment and quality of life, but also on the long-term possibilities for tacking climate change. Eighty percent of greenhouse gas emissions originate from urban areas. But it is possible to change urban development and have flourishing economies at the same time. If planned and managed correctly, cities hold possible solutions for many of these problems. For example through infrastructure, energy and transport solutions, sustainable urban development cannot only boost the economy and quality of life, but also be part of a global zero-carbon-producing planet. Mr. Carlgren described how in Sweden 40 percent of energy supplied is from renewable sources, and will increase to almost 50 percent soon. Sweden has also reduced its carbon emissions in absolute terms by 9 percent since 1990, and without creating problems for the economy. In fact, the economy has increase by 44 percent. Therefore, emissions and economic growth can be delinked. He mentioned different measures and technologies that have been important, including economic instruments such as carbon tax, district heating and cooling systems, and expansion of wind power. He emphasized that this conference is extremely important in order to exchange experiences and new solutions. The availability and dissemination of knowledge and information are vital for combating climate change and adapting society. Satellite imagery data bases and other reliable cartographical data are essential, as well as action programmes to analyse the risks of natural disasters. Guaranteed rights of ownership are also essential for sustainable development. 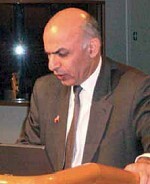 © FIG Mr. Ghani began by stating that one third of the world’s poor – one billion people – live without any legal protection of their assets, and that poverty is a result of the failure of public policies and markets. In fact, in many countries the laws, institutions and policies are a barrier to prosperity. He highlighted the recently launched report of the Commission for the Legal Empowerment of the Poor, “Making the Law Work for Everyone.” Legal empowerment, he stated, is the process through which the poor become protected and are enabled to use the law to advance their rights and interests. He then described the Commission’s four-pillar approach to empowering the poor: access to justice and the rule of law; property rights; labour rights; and business rights. The four key building blocks are interdependent, and when one or more of them is missing, dysfunctionality results. He then highlighted four types of dysfunctionalities: misalignment of social practices and legal provision; misuse of rules governing property; lack of access to information and justice; and misuse of eminent domain. Build functioning state and markets in the 40–60 states that are the weak links of the international system. Tailor strategies and partnerships to the BRICS (countries like Brazil, India and China) and other emerging countries. Bring corporations into a global development compact. Rethink relations between regional and international security as well as political organizations. Invest in national, regional and international leadership and management. 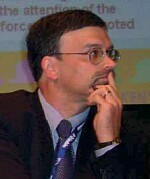 Governance needs to re-framed, he stated, as network governance. The task is to bring states, markets, corporations, civil society and international organizations together. In the next 25 years, US$ 42–44 trillion will be invested in global infrastructure. These investments make global economic integration possible, but could also have severe negative consequences. Getting the design right is critical. Creating liveable cities is critical for the agenda of inclusive globalization. But creativity and imagination need collaboration among many actors. Information, knowledge and wisdom need to be brought together in harmony. © FIG Mr. Enemark spoke first about the land management paradigm, which includes all activities associated with the management of land and natural resources that are required to fulfil political objectives and achieve sustainable development. These include the land policy framework, land administration functions, land information infrastructures and the country context, all of which feed into the land administration system and its impact on sustainable development. Land administration systems are the basis for conceptualizing rights, responsibilities and restrictions – the “three Rs” – related to property. Systems for transparency and good governance. Mr. Enemark went on to speak about partnership, which is the eighth MDG and can serve as the link that drives development. He emphasized FIG’s close collaboration with UN-HABITAT, the Food and Agriculture Organization of the United Nations (FAO), GTLN and the World Bank. He concluded his presentation by emphasizing the role of FIG in terms of professional, institutional and global development. The afternoon started with introductory presentations on land administration and property rights all over the world. The presentations covered lessons learned from various regions: Latin America, European countries in transition to an open and common market, and Sub-Saharan Africa. Special emphasis was put on the importance of women’s equal access to land and finance. Constraints on policy implementation. Most countries in Latin America share poor performance when it comes to recovery of publicly generated land value increments, the delivery of urban infrastructure and services, the provision of housing alternatives for the urban poor, and appropriate land taxation. In addition, there is a strong legacy of powerful landowning interests that influence land policies to their own benefit. Unavailable or untapped resources. Urban land is still viewed as an asset rather than as a taxable base to generate needed resources for the broader community. Management of existing resources is often characterized by a lack of operational capacity or unscrupulous behavior on the part of authorities. Despite the aim to mobilize publicly created land value increments, the overall balance still leans toward compensation given to private landowners. Lack of information or capacity to use it. Often information exists, but not the capacity to find, organize and interpret it. Moreover, public officials are often unable or unwilling to assimilate and translate information into operational results. Lack of dialogue between urban planners and public finance officials. Planners tend to be concerned with the quality of the constructed environment, while fiscal officials are seeking to maximize public revenues. This is reflected in planners often overlooking how projects should be financed and how urban forms affect the tax base, or the impacts of tax collection practices on land uses. Discontinuity in programme implementation. Even the most popular or successful programmes can be disrupted, derailed and ultimately terminated by political and administrative discontinuities. 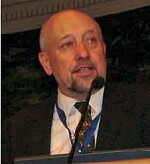 Expectations about the permanence of the rules of the game is a major component affecting how the private sector acts. Ms. Jennervik concluded by emphasizing the clear evidence that sharing experiences and lessons learned advances progress. This information should be used to qualify a broader range of stakeholders capable of not only implementing better land policies, but also demanding policy responses from public agencies. Land policy should transcend party politics and promote political plurality and diversity. Ms. Potsiou opened her presentation by stating that rapid population increases often lead to unplanned or informal development. Fifty percent of the world’s population lives in the cities, and one out of three city residents lives in inadequate housing. The world’s slum population is expected to reach 1.4 billion by 2020. It is a human right that people are free to choose where they live. However, it is a matter of good governance to achieve sustainable urban growth. Registration of property rights of both formal and informal construction is important for proper decision making. Land-use planning is the task of government at appropriate levels. Citizen participation should be part of the planning process. Coordination among land-related agencies should be strengthened, and the private sector should play a role. Municipalities should be independent from government in terms of funding. Real property taxes should be collected and reinvested locally, while citizens should recognize their responsibility to contribute to the cost of land improvement and the provision of services. Ms. Agote began by recalling the thousands of Kenyans who were displaced by recent post-election violence. She stated that the main cause of their displacement, and of the violence, was land. This emphasizes the importance of governance issues with respect to land. In Kenya, the development agenda has always avoided a serious engagement with land issues. 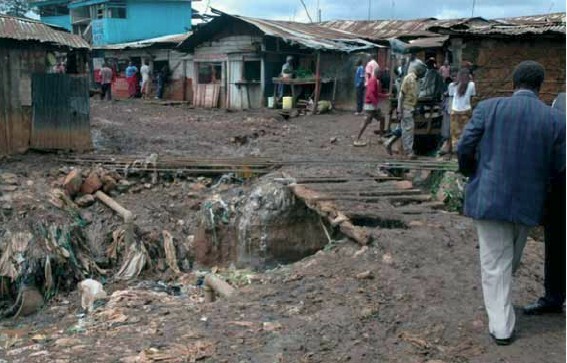 Slums are a major social and economic concern in Kenya, and a major limiting factor in development. The majority of people in slums are unable to meet their basic requirements. And 60 percent of them are absolutely poor. The influx of youth has compounded the slum situation. Urban areas are experiencing increased demand for decent housing. 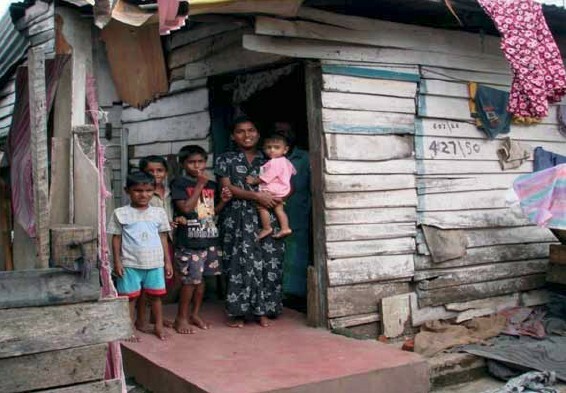 A Poverty Reduction Strategy Paper was prepared that included slum upgrading programmes. Beneficiaries should be involved in the design and implementation of such programmes, as they can provide data and detailed insights into their problems. Slum dwellers live outside the rule of law and basic legal protection, and the government is now seeking to promote tenure security issues through a number of initiatives, including the land policy formulation process, the adoption of eviction guidelines, land control boards, and land dispute tribunals – all geared to helping slum dwellers have a basic level of legal protection. 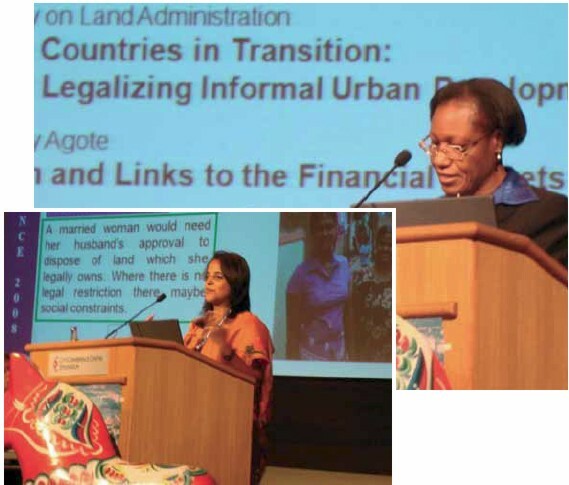 Ms. Agote went on to speak about land administration and links to financial markets, and how in Kenya the lack of security of tenure weakens the link. This is a major challenge and impacts on other ways of using land as collateral. The design of land administration is crucial. Too often a centralized land administration system is complex, thus compounding the problem of access to financial markets. And Kenya is a clear example of that problem: systems are old and do not respond to current needs. The Kenya draft land policy recognizes this, and the principles for guidelines have been recommended in the draft policy. In addition, there is a need for gender equality, a lack of which often blocks women’s access to financial markets. Women are not considered fit to inherit and hold property. One key is the formulation of the national land policy, ensuring that it is harmonized, has simple and cost-effective land laws, and takes into consideration customary and common resource land. Mr. Payne described a research project that was undertaken in 2006 and 2007 to understand the impacts of land titling programmes in Senegal and South Africa. A major research issue was whether titling stimulates investment in housing and property development. One important finding from the study is that the perception of security is often more important than the titles themselves, and the promise of titles is more important than their actual delivery. In addition, titling is not the only means of encouraging investment in housing and land. Other factors include finances, the location of the settlements, the provision of services and other upgrading measures, and the regulatory framework. In many cases, titling has not increased revenues and in some cases it has reduced them. In addition, charges are based on land prices and are restricted by the ability to pay, or can result in forced distress sales. The charges set according to affordability levels may cost more to collect than is justified. They may also discourage households from completing the tenure formalization process. In this regard, action needs to be taken to facilitate transparent land and housing markets that enjoy social legitimacy. Titling programmes undertaken primarily for economic reasons (e.g. to secure investment) have failed to realize social objectives (securing land rights of the the poor). Titling programmes undertaken for primarily social reasons also appear to be of limited value, sometimes contributing to gentrification in urban areas. Programmes undertaken on a small scale contribute to land market distortion. On the other hand, programmes undertaken on a large scale may over-burden land administration agencies. Top-down, or outside-in, programmes do not work. Social legitimacy is vital, as is building on what works in an incremental way. Mr. Payne concluded by describing a number of policy implications: assess the number and quality of land records required and the capacity of the administrative system; introduce/expand innovative finance mechanisms to provide credit to the poor; review/relax the regulatory framework for managing urban land and housing markets; introduce/expand multi-stakeholder partnerships; encourage a range of tenure options so all groups have a choice; and avoid “quick fixes”. Ms. Gurushinge began by explaining that women’s land rights are extremely important, since women’s secure access to land can lead to improved family welfare and women’s empowerment. There are four main barriers to women’s rights to land and finance: cultural or legal impediments to acquiring land through markets, inheritance or transfer; barriers created by intra-household customs and practices related to marriage; discriminatory policies at the central or local government level; and poorly drafted laws and regulations governing land and property rights. She described the three types of land laws in Sri Lanka and the fact that the laws are not applied consistently or coherently. In Sri Lanka, the “head of household” concept is more of an administrative term than a legal one, and the household head is presumed to be the male. This had a major impact on women during the tsunami: in many cases, even if women had owned property before the tsunami, all houses were given to the “head of household,” which excluded them. Create housing finance systems that are demand-driven. Do not restrict finance mechanisms to housing alone. Consider using subsidies as tools to facilitate access to finance. Include community savings as part of housing finance. Maintain flexibility in loan size and purpose. Involve people in every stage of planning a housing finance strategy. Minimize rules and procedures and maximize flexibility. Explore innovative, community-based ways to provide loan security. Four parallel regional “Dialogues to outline the Roadmap to Functioning Land Use Management for All” were held, focusing on an exchange of experiences from different parts of the world. The objective was to address issues specific to each region, as well as commonalities, success stories and failures, in order to gain a better understanding of how land administration systems can be improved and property rights established. Key issues suggested for the dialogue were: factors influencing informal settlements; diversity of patterns of informal settlement development; and diverse policy solutions, including a gender perspective. The key to improved housing conditions is open and transparent markets, but equally important are the steps laid out to create these markets. In short: how systems can be made inclusive for all. The following sections provide a summary of the main discussions points of each regional dialogue, as well as the key issues that emerged. lead to people becoming more indebted through loans and then forcing them to sell their property at below-market value. Urban infrastructure investment which drives slum upgrading needs to be undertaken within a policy framework of sustainable urbanization and a broader city strategy. Upgrading of informal settlements should not be undertaken on a settlement-by-settlement basis, but within a broader area-based framework. Surveying and registration need to be linked to broader settlement development and upgrading processes. After understanding the macro and local contexts, the granting of title must be designed to benefit people equitably, especially considering the needs of the most vulnerable, and share rights between women and men, young and old, landlords and tenants, and one generation and the next. Ownership should be one option, and rental and other tenure arrangements such as group rights should be made available as viable alternatives to allow people to make rational trade-offs depending on their situation. Titling should be coupled with education around the accompanying limitations and obligations. The objective of surveying and titling (or the establishment of other forms of tenure) should be to create predictability and to build trust between people (e.g. between neighbours, between residents and local authorities, between residents and politicians). Creating trust between property owners (or people with other types of secure tenure) and lending institutions may be a much later development when property becomes collateral for loan finance, but it is not a sound initial motivation for establishing individual title. Property rights should be enforceable if they are to be meaningful. High incidences of dispossession of land would indicate that the prevailing system of property rights is inappropriate. Work towards pro-active land use management and planning. Build upwards to achieve the density required for the number of people that need to be accommodated in the limited space available. Explore new methodologies for access to finance. Work towards decentralizing land registration processes and establishing local commissions to regulate the process with transparency. Consider upgrading informal settlements within a broader planned urban renewal context. Link slum upgrading with rural land use improvement for better incomes. Devise simpler titling systems for housing. Promote a shift towards a group/cooperative approach to housing development. Capture experiences and disseminate knowledge directly to communities. The Asia dialogue included participants with experience from Cambodia, China, India, Indonesia, Sri Lanka and the Pacific Islands. There was an initial brief discussion regarding the advantages and disadvantages of land titling, recalling the recent debate initiated by Hernando De Soto’s book, “The Mystery of Capital”. dispute resolution mechanisms that are pro-poor, straightforward and not costly. The participant from Cambodia also mentioned that with the quality of titles produced in the country, the security of transactions is very high, and banks will provide up to 50 percent of the value of the land as a loan. At the same time, one of the impacts of land titling is that land value increases were significantly higher and the poor were selling it at a much lower price, with the result that the rich were capturing the majority of the land value increase due to titling. Discussions also revolved around titling vis-à-vis customary and legal frameworks, with some proposing that the former be assimilated into the latter, and others proposing that titling begin from customary law and build from there. The question also arose as to how to make certificates more valid, since in many areas they are not accepted by banks as collateral, thus preventing poor people from having access to financial services. It was felt that it is critical to demonstrate that the poor have the ability to repay and to save, in order for banks to have a better understanding of their capacity. The need was also expressed to have systems that can marry access to finance to ever-improving certificates. How can certificates be made stronger? The group discussed the need to have incremental approaches to land and finance access in order to minimize market distortions and put less strain on the administrative system. In this regard, as a group, people are better positioned to withstand livelihood shocks and access credit, and certificates gain in value as individuals create a positive credit history over time. Building trust was considered paramount. As people achieve a certain level of income, they gain more confidence in the formal system, and informal systems are gradually pared down. The complexities in the Pacific region were also discussed, in particular the situation of people who are not landless but are not in high-land-value areas. 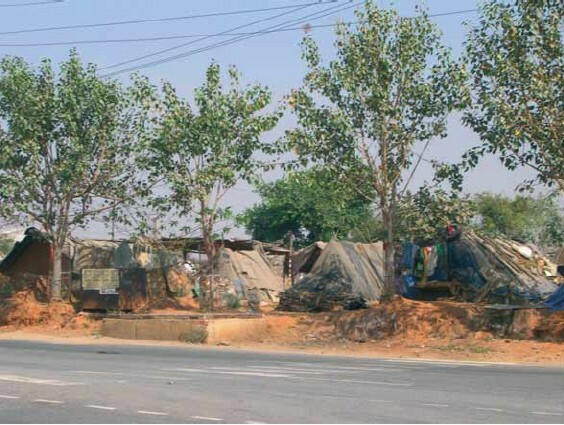 They move to urban areas, cannot get land and end up in informal settlements. In China, on the other hand, many people give up their land rights and gain rights to an apartment, not to a land parcel. One particular problem in China is access to credit. The financial system is not fully developed, and the government and banks are trying to learn from other countries in order to perfect legislation and the mortgage system, with a view to avoiding consequences similar to the sub-prime experience in the United States. The role of private financing was also discussed, especially since land is becoming increasingly scarce. There is a need to reserve a certain percentage of privately developed land for low-income people; people who had been moved out should have first rights of access, and private developers need to provide infrastructure such as schools and clinics. Developments are best served by an incremental approach, with collective loans carefully administered at first, and then moving to individual loans over time. Massive land titling doesn’t work; certificates work better, evolving to more mature property rights over time. People prioritize legal certainty of land rights for the following reasons: (i) security of tenure/ reduced risk of eviction; (ii) the ability to pass on their asset to their children; and (iii) ability to access credit. People need to be able to access credit without having to risk their land asset. Small loans need to be able to evolve into larger loans and then into some form of mortgage. Communities can increase their power through savings schemes or by using traditional institutions. A number of issues emerged from this Dialogue session, which included several participants each from Ghana and Nigeria, as well as others familiar with the West African context. Collaborative approach. Are institutions of surveyors working in isolation, or are they bringing anyone else (e.g. service providers) on board? A collaborative approach is essential. Capacity building. There was a strong call for more capacity building, recognizing the shortage of schools to train in developing countries, and the need for capacity before talking about any large-scale titling. Diversity of contexts. Nigeria, with 60 states and 25 tribes, offered an example of the diversity that exists within a country and the importance of not generalizing solutions. 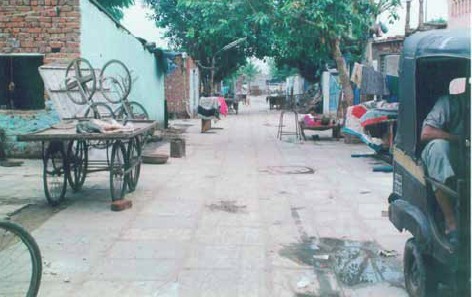 The reasons for slum formation and development differ, and careful research is required to understand different contexts. 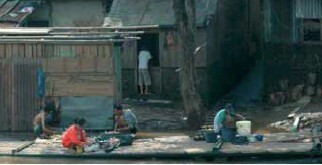 Examples illustrated that slums and informality may exist for reasons other than – or in addition to – poverty. For example, lack of transportation can lead wealthier groups to choose to build informally close to work, even if they own land in rural areas. Advantages and disadvantages of titling. Intense debate took place on the possible advantages of a land title, triggered by Geoffrey Payne’s presentation. Some thought that land titling must be conducive to accessing finance, even though it is clear that a poor person in possession of a land title will not automatically gain access to credit. Communities need to save and have some form of land relationship that helps them develop incrementally in an affordable way. Examples from Ghana and Nigeria included the use of para-legal titles that the financial company would accept to secure the loan. It was also suggested that one of the negative outcomes of titling is that it creates a “black and white” scenario – going directly from informal to titling can obscure the full picture. Assessments and gender analysis are needed at the outset to ensure that vulnerable areas and groups are not excluded. Taxation. Taxation of property has the benefit of making money available to improve the environment for the general public. Some kind of register is needed in order to establish a taxation system, but this does not need to be land titling. At the same time, in many developing countries taxation is on the poor, and the wealthiest property owners are not taxed – this is clearly linked with corruption and weak land governance. It was agreed that land titling should not be an aim in itself. If there is no rule of law to support the rights attached to these titles, they are virtually useless. Good land governance is therefore critical. It was also emphasized that slum upgrading requires a holistic approach; facilities and services such as sewage, water and security should not be addressed individually. In addition, contemporary forms of collective tenure need to be explored, and more research is needed to build knowledge on its evolution and impacts. The dialogue concluded with a focus on the role of local government. How can FIG work more closely with local governments, including associations of local government? If local governments do not have the capacity to work with slums, ultimately nothing will happen. FIG also needs to work more with planners. In all cases, solutions need to be found locally, and local governments need to have the will and capacity, and access to information. The Central and Eastern Europe dialogue included participants from Croatia, Germany, Greece, Iraq, Israel, Norway, Russia, Turkey, the Ukraine, the United Kingdom and the United States. More than 50 million people in at least 15 European countries are affected by poor land administration and cadastre systems, with a lack of clarity and transparency in land tenure and property rights. Lack of clear planning regimes or a lack of enforcement of existing plans leads to massive illegal construction in urban areas. The dialogue focused on a number of factors influencing informal settlements. A wealth of country experiences and examples were given. In Serbia, one million illegal buildings have been constructed over the last 20 years, and the issue is how to bring them into the formal system and register them without accompanying high fees. In Russia, the speed of building construction is very high, with adverse environmental consequences since planning regulations are not designed for dense urban construction. In addition, in suburban cities there is illegal construction on agricultural land. A participant from Iraq noted that the country is still suffering from poor land management and unclear property rights. Updating of cadastral maps is extremely slow, and the information is outdated, with British maps from 1920 being used. The issue of enforcement of regulations was intensely debated, with some participants insisting that the destruction of illegal structures is the best solution; others felt that such a measure was far too severe. Corruption was widely acknowledged as a major impediment to enforcement and a factor that was exacerbated by land management procedures that were not transparent. Informal construction has two principal and different motivations: construction by poor people for basic shelter; and construction for upgrading private real estate and for profit, usually in areas where real estate values are high. The term legalization may not be the best term when applied to addressing informal settlements. Decentralized or environmental upgrading may be more appropriate to use when talking about acknowledging, in some way, the existence of “informal” construction or settlements. Legalization is not a panacea. It needs to be to be complemented with environmental improvements and upgrading of settlements, all of which is time-consuming and costly. Land use and planning systems must be developed at the municipal/ local level, with the participation of individuals and communities. In addition, taxation is an indispensable tool that should be used to collect revenue to be reinvested locally so that people see the immediate and local benefit. Consideration should be given to needs of the taxpayers and not simply to those of the legal owners. Public land administration needs to be equipped with modern tools such as spatial data infrastructures, cadastre and e-governance in order to be able to quickly and effectively address emerging demands arising from urbanization. Moreover, it needs to be simplified to prevent undue delays that would in itself promote illegal construction. People are willing to respect laws if they are efficient and respond to their priorities. Post-conflict areas require particular attention, as land tenure security in these areas is particularly threatened, and often in the absence of public records or responsibility. Documentation and recording of property should include legal as well as illegal dimensions. Land use changes may not comply with safety regulations, and attention needs to be paid to these changes. Stable land policies will encourage investment in the maintenance and upgrading of newly privatized land or property in countries in transition. Demolition of buildings is never a popular intervention. Only buildings which are clear environmental hazards should be demolished. Corruption can be minimized through developing policy and regulations that are clear, unambiguous and transparent. Land administration systems need to consider preventive remedies. In addition over-regulation can be a barrier to affordable housing. Day 2 began with plenary presentations that outlined how financial services are expanding to reach the urban poor. Four parallel “Dialogues addressing various links of the land administration chain” were held, again focusing on an exchange of experience, but this time from different professional perspectives. The objective was to enable a cross-cutting development of the links between individual links in the chain. Participants chose between four sessions: Practices and Tools; Reinventing Planning; Linking Financial Sources; and Access to Finance. A wealth of real-world experience was shared from around 30 countries. This section summarizes the key points made in the Plenary speeches and in the Dialogues. The most asked-for element in upgrading demanded by slum dwellers is access to formal credit for loans for them to construct their own houses. As things stand, poor people cannot afford credit since for them it is exorbitant. This is because existing housing finance systems are not geared to their needs. As a result, they fall prey to exploitation by loan sharks at the informal end of the market, and to the high interest rates of the formal market, both of which are linked to the perceived high degree of risk for the lender. value. To be productive they need investment. He then provided some examples of community-led housing finance schemes in Namibia, Pakistan, the Philippines, South Africa and Thailand. Land availability and land security – meaning that once occupied, the occupants will not be forcibly evicted. In this respect the FIG’s role in working towards formal recognition of land security in multiple forms specifically designed around the capabilities of the urban poor can be seen as part of the due diligence required for finance. Responsibility of municipalities to ensure basic affordable services – road access, drainage, sanitation and water supplies, etc. – this may require credit facilities against the revenue generation of the entire city asset base. 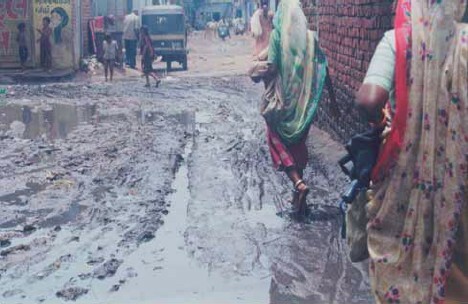 Water and sanitation can be seen as an entry-point for municipal action in slums. Understanding costs is crucial, especially keeping the cost of construction in check. For example, the cost of a bag of cement rises daily. But do we need to use so much cement? There are other construction methods and this information needs to be brought to the local level. Access to formal and affordable lines of credit specifically for the slum dwellers’ own projects – such access is dependent upon the land and services issues being agreed with local authorities as a basis for community groups approaching the commercial banks for their involvement. Savings schemes and cooperative structures help banks understand the containment of risk to which they will be exposed. SUF has found that such processes can be best achieved through the establishment of local finance facilities that can offer credit enhancements or guarantees to act as a stimulus for the application of loan products from local financial institutions – the commercial banks. In this case the community savings can be increased by acting as a local guarantee arrangement for household groups or cooperatives to take loans on a collective basis. 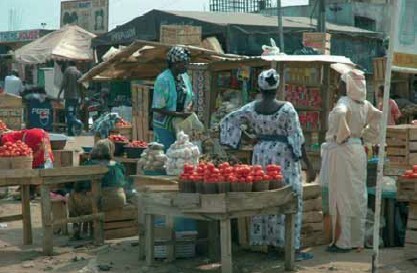 These Local Finance Facilities provide the technical assistance that can package the slum dwellers’ own upgrading multiple projects with the business plans for the repayment mechanisms and other finance agreements that can be understood clearly by the slum dwellers (the ‘clients’) and by the credit committees of the commercial banks. In addition, credit enhancements can be offered by the Local Finance Facilities to provide the necessary comfort for the commercial banks to close the deals with the slum dwellers. This process is called ‘Finance Plus’, in which the multi-stakeholder board is a problem-solving group able to help the slum dwellers’ projects gain competitive formal credit through their detailed ‘due diligence’ of the projects. Mr. Mutter concluded by explaining the difference in approach – housing upgrading schemes are based on the plans of community groups (as opposed to individuals accessing bank loans), which creates greater ‘due diligence’ of the process leading towards the formal credit facilities. This is where a sound methodology leading towards a Project Business Plan process comes in – and results in a clearer picture of sustainable financing. This is working in practice, and is the model needs to be developed and expanded. Project Financial Packaging through development of a Special Purpose Vehicle (SPV) Development Company or Housing Association, engaging with domestic capital markets and commercial retail lenders. This has attracted Rockefeller Foundations for funding. Development of a nationally based Local Finance Facility as a multi-stakeholder not-for-profit company able to package slum dwellers’ projects and seek commercial loans with the help of local credit enhancements. Expansion of low-income housing products. Technical assistance and advisory services to other municipal slum upgrading projects. Financial packaging for city-wide slum upgrading of Province of Yogyakarta. Development of a Local Finance Facility for the City of Solo, the former Surakarta capital of Indonesia. Ensure that financing for slum upgrading is recognised as a priority within national development planning and as a key investment element contributing to economic growth. This emphasis should be reflected in a slum upgrading budget line within national and local authority budgets. Don’t rely on one off poverty-focused upgrading projects. Encourage local and international banks and micro finance institutions to become active participants in financing upgrading as part of their core business. Don’t rely solely on housing or government finance institutions. Ensure that guarantees are available to encourage banks to lend to slum upgrading projects. Don’t provide guarantees that support interventions based on political patronage. Build investment in slum upgrading on a firm foundation of community based savings and loan systems and local authority commitments to provide in kind and monetary allocations on an annual basis. Don’t assume that community involvement is best restricted to cost recovery and loan repayment and that local government has no responsibility for planning investment in upgrading. Recognize that financing for slum upgrading requires a mix of short, medium and long-term loans, integrating finance for building, infrastructure and livelihoods. Don’t assume that one financial product fits all. Develop a process for sharing risk analysis and planning for risk mitigation and management with all the key stakeholders Don’t expect residents of slums to be the only risk takers in developing new approaches to upgrading. Plan projects on a mixed-use basis with revenue generating elements such as saleable residential units and rentable commercial space in order to maximize financial viability. Don’t assume that lending for slum upgrading will necessarily be asset-based. Where banks do lend for this purpose lending is more than likely to be revenue based. Ensure that subsidies are effectively targeted so that the benefits reach those for whom they are intended and build on the basis of long term engagement. Don’t assume that all the problems of a slum can be addressed quickly within the framework of a single project. Recognize that not everyone who lives in a slum is poor. Where an area upgrading strategy is to be implemented provision needs to be made for a range of income groups with steps taken to ensure that the poorest are not excluded. Don’t insist that interventions should only benefit low-income families. Recognize that home ownership is not the solution to everyone’s problems. Provision for the development of affordable rental property is an important component of financing slum upgrading. Don’t restrict interventions to developments based on clear land title and private ownership of property. Make the real cost of finance very clear so that people clearly understand the commitments they are making to loan repayment. Don’t hide the real cost behind misleading promotional messages. Where appropriate establish local upgrading finance facilities so that funding is locally available. Don’t assume that existing finance institutions will have the capacity to deliver the full range of financial services required. Explore options to use land allocation, readjustment and sharing methods to release finance for upgrading. 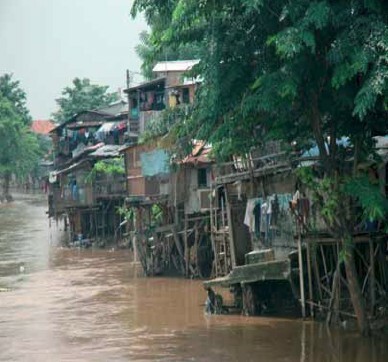 Don’t place unnecessary restrictions on land use Financing slum upgrading. © FIG Ms. Karnard elaborated on how the global financial flows could be linked to serve the purpose of adequate and affordable housing for all – based on experiences from India. She began by describing the role of housing in India, which is a critical component of the economy since it is the second largest employment generator after agriculture. In fact, she added, the sector has grown 30 percent per year over the last five years. At the same time the total investment for meeting housing requirements until 2012 is estimated at US$ 90 billion, which represents an enormous challenge. Therefore, it is all the more imperative to seek innovative housing finance solutions from the private sector. Currently, the acute housing shortage has translated into 23 percent of the population living in slums or squatter settlements. Moreover, only 36 percent of urban households have sanitation facilities. The main players in housing finance are banks and housing finance companies, which cater to the upper- and middle-income segments of the population. However, affordability has improved over the last decade: in 1995 it took 22 times one’s annual income to buy a house in a typical suburb of Mumbai; today the ratio is five times. The decrease can be attributed primarily to rising disposable incomes. Nevertheless, housing remains unaffordable for a vast population. The key reason is the distortion in land prices. The price of land accounts for almost half the cost of a house. Land is a state subject, and like any other emerging country, India faces a host of legal and regulatory constraints that prevent land from entering the market. Other constraints include lack of clear land titles and lack of a rental market. To encourage low-cost housing, there could be a stipulation that all new housing projects have a fixed percentage allotted for low-income housing, with tax relief incentives for developers. To encourage financiers to lend for low-cost housing, there is a need for clear land titles, the introduction of mortgage insurance and better credit data. One of the most comprehensive policy measures by the government is the National Housing Policy, which is focusing on economically weaker segments of the population. The policy encourages in situ slum housing over resettlement, where possible. The government has recognized that free housing schemes do not reach the intended beneficiaries, and that low-income households tend to build gradually (often one room at a time), thus requiring the need for timely credit. Ms. Karnard concluded by stating that, despite the hurdles, there is a growing commitment on the part of the government to realize its goal of “Affordable Housing for All” and to partner with the private sector in order to ensure that every citizen of India has a place to call home. © FIG Mr. Childress began by noting that land finance for the poor is highly exclusionary and cannot be disentangled from the discussion of land governance in a changing global context that creates new threats and new opportunities for poor groups. The 2008 World Bank World Development Report, “Agriculture for Development”, he added, documents in detail the fact that the ‘bottom billion’ of low-asset peri-urban and rural groups face the most acute challenges. This group cannot achieve meaningful participation in existing land markets and cannot access housing finance. The changing price contexts in energy, food and carbon make these challenges more acute, but may also offer new opportunities for ‘win-win’ solutions as multiple sectors recognize the costliness of land governance failures. In the previous era of (artificially) cheap energy, the location of cities or of fixed natural resources was not considered important. In today’s context of rising land, commodity and energy prices, location is increasingly important. This in turn creates tremendous competition between different interests in land. In this environment, the quality of land governance becomes critical, determining who has access to what land for what purpose. The decisions made on these issues will affect, in turn, the distribution of gains from growth. At the same time, he added, new opportunities are emerging. Skyrocketing land prices in developing country cities, for example, create new opportunities to capture land values to benefit the poor (for example, through land sharing). Another example is the establishment of markets for avoiding deforestation, conserving land and resources and establishing new types of global commons (carbon, atmosphere, oceans, intellectual property, communication bandwidth, financial space, etc.). Some of these have significant potential to benefit the poor, particularly in forest and peri-urban areas. The challenges and opportunities are clear, he added, but getting traction for poor groups to improve social and environmental outcomes is difficult. It requires effective land governance at multiple scales – local, regional, national and international. Land issues are present and critical at each scale of governance, from parcels, to neighbourhoods, to municipalities, districts, countries and regions. But we lack the tools and institutions to successfully manage even small spaces and interactions. New tools combining land administration and information technology offer tremendous promise for land governance, but the social and political agreements needed are much more complicated and often seem out of reach. To make progress in effectively managing the global commons, he stated, the land governance agenda must engage with the actors, interests and structures concerned with the exercise and regulation of power at different scales (including elite, popular and excluded groups at each scale). Governance specialists and land specialists need to talk. New paradigms for looking at land governance in the 21st century may hold promise for creating ‘win-win’ scenarios for territorial health in which different social groups find profitable and mutually agreeable ways to share space. One such option is the revaluing of resources through the pricing and taxation of land in a fully carbon-linked, water-scarce, global economy. Food productivity and local system resiliency and local environmental services create new opportunities for income streams for the poor and new sets of possible agreements around urban, forest and agricultural land. The concept of Legal Empowerment of the Poor (on which a high-level Commission) recently concluded its report), may find its strongest expression in land governance through a focus on inclusive policy development and the ‘continuum of rights’ and interests in land. This puts a renewed focus on the inclusion of public lands, communal rights and land management in relation to land policies and land finance. It also calls for thickening the institutional context through greater inclusion of the full range of social actors and the increased recognition of the importance of land by both environmental and finance constituencies alike. He concluded by emphasizing that many of the price/cost parameters under which land finance and land governance have worked in previous years has changed. Land governance at multiple scales is not the concern of just one specific technical practice, but rather of multiple social interest groups. In this way, land value and land financing can be made to work for all, in particular the poor. Mr. Ericsson explained the Swedish engagement in land administration and housing finance. He started out by pointing at historical evidence that the major injustices in the world can be changed. 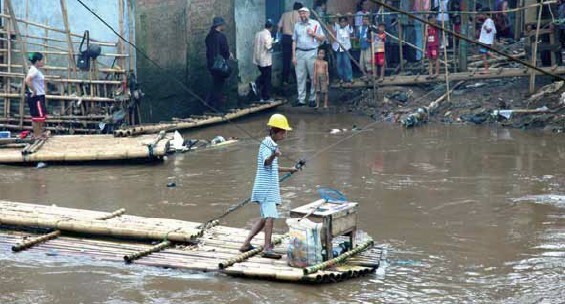 Cities in developing countries show that the paradox that progress creates poverty rings true. Poor people are forced to live in overcrowded conditions due to rising constraints on their access to land. The functioning of the urban land market is arguably the most consistent bottleneck undermining long-term city development. To change this, the Swedish State Secretary requested existing actors in the global financial markets to play their parts in a comprehensive legal, political, social and economic framework for urban land markets. These actors need to recognize the market at the bottom of the population pyramid – which consists of close to four billion people. The comprehensive framework, he explained, is built on the assumption that ownership of property, alone or with others, should be a human right. A fully functioning property system should be composed of four blocks: a system of rules that defines the bundle of rights and obligations between people and assets reflecting the diversity of property systems around the world; a system of governance; a functioning market for the exchange of assets; and an instrument of social policy. When such a system fully functions, it becomes a tool for the inclusion of the poor in the formal economy, and a mechanism for upward social mobility. But even when a single component is dysfunctional, the poor are deprived or discriminated against. The initiative of this Seminar was taken by the two responsible agencies for land and housing in Sweden – the National Mapping, Cadastre and Land Registration Authority of Sweden and the National Housing Credit Guarantee Board. From a policy based on the need for integration, these two institutions have for many decades developed a way to combat poor living conditions. Mr. Kumar first introduced some innovations to make banking easier, including credit cards and home and personal loans. However, these innovations are not widely used in slum areas because there is often no proof of identity and no proof of address for loans. Furthermore, banks and housing finance companies perceive such innovations as too risky, since the transactions carry high operating costs with low value and require longer-term exposure. 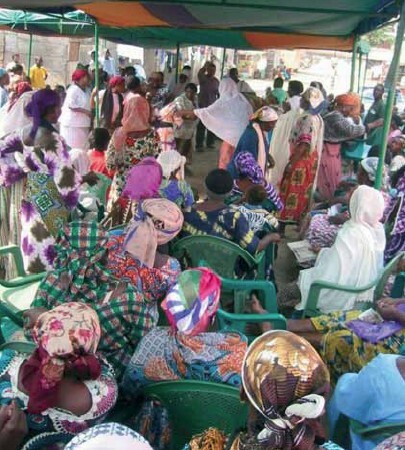 Microfinance institutions are wary because of the difficult of creating groups for repayment assurance as well as the issue of the long-term context. 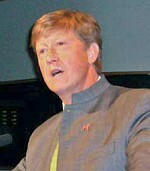 He then went on to describe a number of successful examples, including the Society for the Promotion of Area Resource Centres (SPARC) housing model in Mumbai, India, in which the perquisites include urban land that is available for rehabilitation, and a good “transferable development rights” market (i.e. the right to construct more for a given land area). The stakeholders include NGOs, land owners, inhabitants of the land, the government and banks. He also spoke about the SPARC sanitation model, in which 300 toilet blocks are being constructed through an escrow mechanism with the municipality, and with operating costs funded by the community. Another example he gave was the Johannesburg Housing Company in South Africa, which is a rental housing model that seeks to refurbish relatively older buildings and lease them to clients. The loan component comprises about 60 percent of the project cost, and the equity component comes as a grant. Both the loan and building maintenance are paid for from rental receivables, and rent collections have a track record of almost 100 percent. The final example Mr. Kumar presented was the Kudumbashree community housing model from Kerala State, India, in which government machinery is used to create community organizations and build capacity, thus reducing costs and risks. The bank then lends based on its credit assessment, and the government facilitates the bank’s linkages with the community. Individual loans can be taken for up to US$2,500. To date, more than 15 banks have participated in the model, with over 100,000 houses financed and with very high repayment rates. Mr. Kumar concluded his presentation by emphasizing that any workable solution will need to incorporate a combination of both free market and subsidy solutions. He also indicated a number of key enablers: bridge funds; partial guarantees; sensible use of grants as revolving funds/bridge funds; and using subsidies and government participation in capacity building. Catalytic grants to provide critical inputs for successful project planning and implementation. Ms. McLeod explained the services offered, sources of funds and types of initiatives provided in the three countries in which the Facility operates: Ghana, Indonesia and Sri Lanka. All countries receive the full complement of services, which include guarantees for wholesale and project loans, technical assistance for project design and loan negotiations, and grants for initiating projects. Funding sources include SUF, and local and national government, although the latter is source only in Sri Lanka. Initiatives are either planned home improvement programmes or planned area improvement projects. Local finance facilities generate commitment and focus on city-wide slum upgrading. There is great potential for long-term and more complex slum upgrading initiatives to be channelled through facilities using the “Finance Plus” approach. National- and municipal-level facilities help to stimulate project ideas. There is a long delay and high fall-out rate between project concept and implementation. Rising interest rates are interfering with affordability (particularly in Sri Lanka). Community savings and loan systems are a crucial element. Four parallel dialogues were held to address the various links in the land administration chain. The following sections provide a summary of the main discussions points of each Dialogue, as well as the key issues that emerged. The dialogue was opened by two slide presentations: the Social Tenure Domain Model (STDM), presented by Chrit Lemmen; and the Gender Mechanism of the GLTN presented by Åsa Jonsson. Chrit Lemmen began his presentation by emphasizing the fact that land professionals generally recognize that the existing tools supporting land administration are not pro-poor. He went on to describe a project to develop a Social Tenure Domain Model (STDM) for land administration. The STDM covers land administration in a broad sense, including both spatial and administrative components. In conventional systems, it is possible to relate names/addresses of persons to land parcels via rights. The STDM, by contrast, relates fingerprints of a person to a co-ordinate point inside the land in use by that person, via a social tenure relation. The idea is to be able to map land rights and claims in a context in which there are many types of statutory, customary and informal land rights and claims. The STDM makes it possible to put rights into a system which are not registered rights, nor registerable, and are claims that need to be adjudicated both in terms of the “who”, the “where”, and the “what type” of right or claim. From a land and finance perspective, a functional STDM creates the possibility that a continuum of land rights can be documented, from less secure to more secure, and the financial markets could price that relative security into a new generation of loan products explicitly designed for the poor. 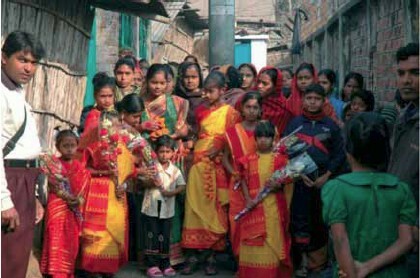 A lengthy and multi-faceted discussion was held on gender, including the fact that many women still do not have the right to hold a title; that women often are not recognized as a de jure head of household even though many women are in fact the head; that female land ownership may be as low as 5 percent (and less) in some countries while it is women who mainly work on agricultural land with little benefit from the produce; that customary laws and practices often discriminate against women; and that education is critical for women to know and apply their rights, and for them to be able to join land professions and decision-making bodies. It was agreed that one of the most important elements is to have appropriate laws and policies in place, including the fundamental one of allowing women to own land, and to make sure that these are implemented. It was concluded that to enhance gender-responsiveness, work is needed on many fronts at the same time. In Lao PDR, collaboration with the Lao women’s union has ensured that a woman is always present in discussions on property to inform households on gender dimensions. Results of women’s empowerment have emerged: women with titles in their name have increased from 20 percent to 30 percent, with an additional 26 percent having joint titles. In Sumatra, Indonesia, customary practices are matrilineal, which means that inheritance passes from mothers to daughters. It was noted, however, that multiple systems are in place, at times in parallel, which need to be fully understood. In Ghana, both husband and wife are registered. – In Malawi, everyone has the right to own land. In Rwanda, the issue of gender was continually raised during the process of establishing the constitution and land policy. As a result, land-related institutions have a more balanced gender representation. In Kenya, although rules specify that local institutions and land control boards should have 30 percent representation by women, the rules are not enforced. 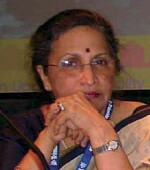 Similarly, although the land policy specifies that there should be legislated land dispute tribunals, these rarely support women. Thus, when a man dies, the property often passes on to his relatives rather than to his wife. Discussions also centred on the significance of effectively collecting municipal fees. Examples were cited from Ghana, where local municipalities only have the capacity to collect 20 percent of the total fees. It was noted that if they could collect 90 percent they would be financially self-sufficient. It was suggested that rather than looking at other means of innovative financing, it might be more appropriate to explore means of improving collection. A number of country examples were again provided. In Kisumu, Kenya it was estimated that only 20 percent of the revenue is collected. The advantages of enumeration were flagged, where land data are collected in cooperation with NGOs using forms to record land users linked to satellite images to collect spatial data. In Ghana, only 22.5 percent of the revenue is currently being collected. It was reiterated that land revenue collection needs to be decentralized. The need for a cadastre was also mentioned, and steps were shared on how a land information database can be set up at the municipal level, which can be monitored by the municipal assembly. This led to discussion on what type of information is required for tax collection. It was noted that in informal settlements it is not possible to conduct surveys in the same way as they are conducted in formal areas. Scaled-down options for collecting information need to be explored, with simpler and quicker methods. In this context, the important question arose as to who owns the problem of lack of information – is it the community, local governments or land owners? In addition, back-up systems must be in place for such information. A point was made that there is too much focus on upgrading rather than on preparing for urbanization. In this regard, revenues can be used to avoid new informal settlements in the future by proper and longer-term planning. The dialogue ended with an emphasis on the need for political will and technical expertise. The chair of this Dialogue, Mr. Geoffrey Payne, began by posing the question, “How do we persuade those who do not work in cities that they are the engines of social and economic development?”. He gave an example of Mumbai, which holds 1.5 percent of India’s population but contributes 30 percent of all central government revenues. These revenues form the basis for rural development programmes, so healthy, dynamic cities are vital to rural development, yet policy makers do not seem to accept this. There are a range of conferences and publications that have generated the approaches needed to create successful cities. However, these approaches are not being adopted and implemented at the scale and speed needed. One reason discussed was that politicians, senior administrators and the commercial elite are benefiting sufficiently from the status quo and therefore ignore the information that is available. Therefore, a major issue is how to re-invent planning to mediate between public and market interests, and how to de-link land interests (of politicians/elite) from planning. 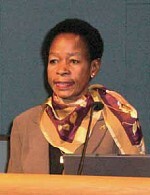 An example was given of South Africa, where attempts are being made to transform segregated cities. However, high land values in good locations consistently exclude the poor and force the authorities to develop low-income housing in peripheral locations far from job locations. State planning and coordination were also discussed. An example was given of Lusaka, Zambia, where legislation exists but is not enforced. Informal settlements were upgraded but the infrastructure is not maintained. In this regard, it was highlighted that the best planning is done by the slum dwellers themselves. Mobilizing them is not difficult, and if the service needs are articulated by the people who live there, it becomes their project – they get what they want, and resources are used to the maximum. By involving the community in “bottom-up” planning, less information is needed for planning by professionals, as the local people know their area. In addition, stakeholder participation leads to local conflicts being resolved within the community. Local distribution of money to communities helps realize their locally defined goals. It was also pointed out that megacities need information for a broad overview of their challenges, and that planning needs to be long term, for example ten years. The link between detailed planning and large area planning is missing. The dialogue also focused on decentralization and people “hiding” from taxation. Development broadens the base for property tax, and this tax raises funds for decentralized functions. Information is needed for collecting tax, appropriate systems are required for the redistribution of resources. Taxation should also capture some of the value that is created by society. In other words, if the local authority provides new roads or services, this increases property values and should therefore generate more revenues. However, as residents of informal settlements are usually poor, it is not fair that they should have to develop through their own financing (e.g. micro-financing). There should be systems for re-distributing wealth. The poor are willing to pay taxes if they see benefits. An example was given of Lusaka, where there are campaigns for taxation. The public is informed, and community members understand the need for taxation. Efficient taxation and efficient distribution are important. If the wealthy are taxed too high, they leave the area. Therefore, there is a limit as to how far redistribution can go. 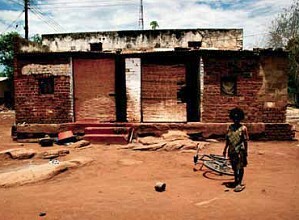 In Ghana, for example, slum upgrading led to increased property tax revenue. Taxation is democratically determined, but politics and policies do not drive development – the market does. In this regard, transferable development rights is a good example of how governments can guide the market rather than fight the market. Infrastructure can be financed by selling land rights “above” the infrastructure. For instance, shopping areas and offices built over railway stations generated sufficient revenues to finance major infrastructure works in Mumbai and Navi (New) Mumbai. To help the poor within market economies, an example was given of London, U.K., where a rule was implemented whereby any commercially based residential development should include low income housing for 50 percent of the development. In London, this is feasible, since institutional capacity is in place for enforcing the rules. However, such enforcement capacity is not universal. Another example was given in South Africa, where 100,000 houses per year have been built. The problem in many developing countries, and even more developed ones like South Africa, is that governments generally lack an understanding of where and how much they can influence market-based decisions. Policy makers also overlook the fact that the poor build incrementally and not all at once. Two types of planning are needed: development to meet the needs of existing settlements and populations and development to address the needs of future populations. For existing settlements, planning/upgrading is incremental. As upgrading may be the first contact people have with officials, confidence must be built between communities and the public sector. It is also important to accept that starting incremental developments requires follow-up and that poor people usually cannot provide input into the upgrading other than their labour. Information is indispensable for community-based planning. An example was given of Hyderabad, India, where information kiosks or E-Centres are making information available to the community through Internet points that are serviced by young government employees. Forms for all sorts of needs (passport applications, driving licenses, building permits, etc.) can be printed and processed in the same way that a courier service offers. Information on what is being planned by the authorities is freely available, thus helping bridge the information divide. The concept of “m-government” (mobile) should also be promoted. Through mobile telephones, government officials can improve information exchange by disseminating information, warnings, etc. quickly and easily. Participants from ten countries engaged in this dialogue, including representatives of the banking, public and academic sectors. The role of the state versus the market was singled out as a key issue. The group was then divided into two, one focusing on “private” concerns such as savings schemes, housing loans, remittances, microfinance institutions (MFIs) and microcredit, and the other on “public” concerns such as tax policies and other core issues. A number of country experiences were described. For example, Hong Kong had slums 15 years ago, but not any longer. The problem was said to be solved, not simply “relocated”. The solution was the building of a more compact city, with high-rises, and in a public-private partnership. Government provided land and the private sector provided housing. Government also reclaimed a lot of land that had been trespassed. Initially the flats were rented, but since the 1980s some have been available for purchase. Prices have risen dramatically in this period. In Ethiopia, the government uses two approaches: setting the rules for private participation and providing condominium houses, which has been a good experience. Abolishing slums has been concerned with changing the horizontal city into a vertical city. Vertical cities save land and generate revenues. Property rights are very important. 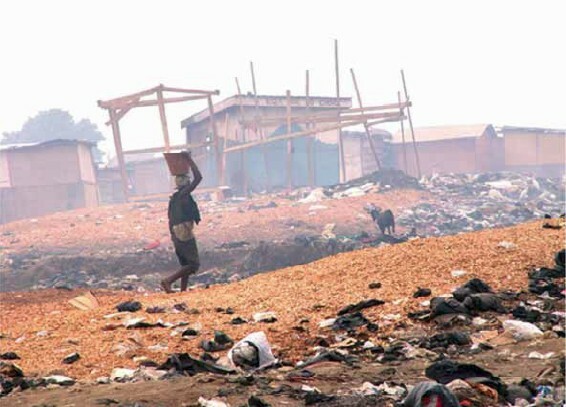 As for the development of slums in Africa, the basic problem is corruption. Greed and need are both root causes. The government’s role should be to provide incentives for housing cooperatives and create an enabling environment for low-interest bank rates. In addition, it still remains unclear whether MFIs in much of Africa will invest in long-term loans – loans for a car, yes; for a house, no. In Indonesia, the government usually has a planning monopoly. For informal settlements, it is very difficult for poor people to come together and invest in their infrastructure. The government needs to conduct the initial work to improve roads, water, sanitation, etc. In this way, the value of the houses increases, and it then becomes possible to gain access to credit from the commercial banks. However, this is very much dependent on local conditions, and it is still generally impossible for local communities to mobilize enough. Moreover, it is difficult to envision private companies being part of the solution when it comes to informal settlements, where there are often extremely poor people living on land whose value is very low. In these situations, government or local subsidies are needed. The representative from Hong Kong explained that the national government together with local government should form artificial companies. Public-private partnerships should be one unit. Technical and managerial support should be given at the outset and then phased out. There should also be three-party agreements, including government, community and private operator. However, the question arises as to where the private actor will find its incentives. In addition, a functioning private sector is not possible if the public sector is not working. For example, in Nigeria there is no electricity, and therefore the banks are not going to provide loans because the risk is too great. MFIs are just beginning to function in Nigeria, which is an outflow from the banking consolidation conducted in the country in 2005. Before, there were too many community banks, but currently there is a maximum of 25 banks. There are no mortgage institutions or subsidies, and therefore loans are given at prime lending rates. Only people who are working or self-employed have the necessary assets to borrow. In addition, it is taken for granted that borrowers will have a good title documents. The dialogue concluded that the involvement of both central and local government is needed to minimize corruption, support infrastructure, security and title issues, and provide subsidies. This could provide incentives for the private sector to come in. All of this will need to be integrated within the planning process. The international community also has an important role to play by putting pressure on national governments when they are corrupt, especially when money is diverted. The international community could also provide the long-term financing required to address housing. The session included participants from Angola, Egypt, India, Nigeria and South Africa. It began with an exchange of country experiences. The participant from Nigeria explained that less than 5 percent of the population’s home construction is financed through mortgages and that financing is generally accessible only to the upper middle class, since equity must be about 25 percent of the cost of home construction or the purchase price. Moreover, Nigerian professionals have not managed to convince the three tiers of government to create a conducive environment for slum upgrading investment. One option would be to link to organizations of the urban poor and encourage business investment in the area (small poultry farms, fishery, farming, etc.). However, support from external organizations would be needed to generate the political will for the investment. In India ten years ago, there was only one serious mortgage lender, whose prerequisites included a formal job, with a salary deduction for the mortgage payment. This translated into two types of borrowers: the wealthy and people seeking to launder black money. A dramatic shift took place when banks became willing to take construction-related risks and slowly moved to broadening the market. Today a person whose monthly salary is US$ 500 can receive a formal loan for housing under construction. The bank assesses the construction risk, the customer is then appraised, and a mortgage decision is made. This is still asset-based lending and the key consideration is the security/quality of the asset. For the bank, the main concern is whether it can sell the asset to recover its investment in the event the person defaults. Egypt has a somewhat similar experience in that 15 years ago commercial loans were available but not residential loans. As commercial lenders became more comfortable in the market, they started to become willing to create new and different products, which is a promising first step. In Angola, where two thirds of the population resides in large cities, the construction sector is strong, including informal construction, which produces good-quality housing. Recently, government structures are being created for housing finance, and new laws are under preparation for land management that cover state and private land. There are some community groups, but no political governance structure to coordinate them. Moreover, communities have not yet come together to effectively lobby for their interests. There are strong political movements towards investment in infrastructure and urbanization, and for surveying and land management, as well as for transferring state-owned houses to private ownership. Macro-economic stability. Fixed-rate loans are not feasible in a situation of rising interest rates. Loans are restricted to short-term incremental lending, and incremental construction. Home improvement loans are possible, but not for three-story high-rises or multi-year loans. Collateral. Mechanisms to recover their investment (foreclosure, group guarantee) are perceived to be essential for banks. Legal framework. There need to be means of protecting investments against theft or fraud. Financing sources. Financing sources could also include affordable funds, including pension funds. The macro-economic environment is improving in many developing countries and there are more diverse opportunities for investment, including housing finance. In other countries, inflation is rising and needs to be considered in the calculation of the loan interest rates. There was a fairly common perception that mortgage markets were not an effective solution for the urban poor to access housing. There was a preference for lending to organizations of the urban poor. In addition, there is a widespread assumption that housing loans are consumption loans, whereas many housing loans are in fact small-business loans, as home-based businesses are established. Macro-economic stability is critical. The annual inflation rate must be 10 percent or less for mortgage finance to be viable. Mortgage-based lending instruments are not appropriate for the urban poor living in a context of rapid urbanization, lack of land title, and inability to foreclose. The most appropriate profile for low-income housing loans is not asset-based lending (collateral-based); a history of repayment is more critical. Historically, subsidies have played a significant role in generating markets. These are not a best practice, but they do open up markets to new sources of finance. Often an incremental approach is required to build lender comfort. Commercial loans can start more quickly; loan guarantee or insurance systems are other options at the early stage to get the system functioning. An incremental approach is needed for building houses and markets. A poor person cannot simply go out and arrange bank financing for housing. Small steps are necessary. Groups or cooperative models are key to accessing finance and reducing the risk perception. Groups can provide a guarantee for repayment, with members of the group able to cover an individual’s instalment if one of them falls short in any given month. Group savings and loans systems are critical. Over time these systems can become larger and more sophisticated and help build financial literacy. Savings are indispensable to prove creditworthiness. In this regard, groups can strengthen and leverage individual savings. 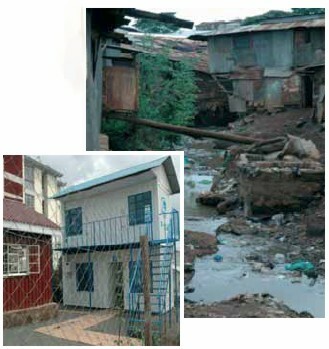 There is a need for political will to create an enabling environment for private investment in slum upgrading. Governments must practice restraint: borrowing less for their annual budget and helping to bring inflation down. There may be a need to create new institutions to meet the demands of the urban poor clientele, since it is difficult to convince banks to move into new markets. The Committee on Development Information (of the United Nations Economic Commission for Africa) is one model: group lending is established; an upgrading or development project proposal is put forward and never linked to the commercial financial sector, depending instead on government capital. Secondary mortgage markets and insurance schemes may also contribute to broadening access to finance for the poor. Large loans would be needed, and perhaps spread over multiple countries, but there is a question of capacity in domestic banks. Another option is a shared ownership scheme. For example, a teacher pays rent on three quarters of the unit to a housing association and over time can increase his or her equity share. Such a market would require a strong regulatory framework. 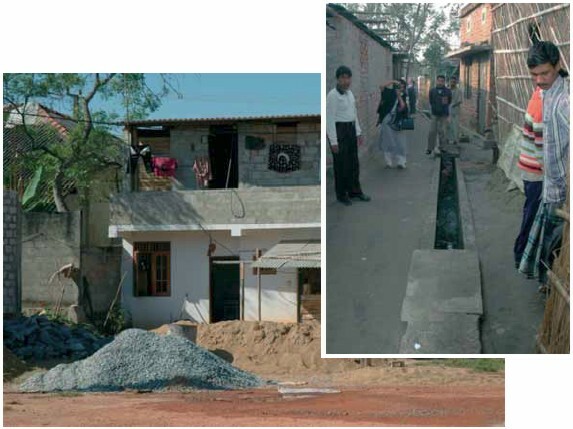 An example of upgrading project in Patan Nagaar, India, situation before and after the project. As partners in the GLTN and with financial support from Sida, UN-HABITAT and Lantmäteriet (the National Mapping, Cadastre and Land Registration Authority of Sweden) jointly coordinated a gender component during the two-day Dialogue. The objectives were to sensitize participants on gender dimensions necessary for any discussion on land; provide concrete examples from projects in Africa and Asia where women play a critical role in the slum improvement response – including innovative financing – and/or where land tools have been gendered; and enable practitioners to strategize on how to more widely share these experiences within their own countries and globally. Six participants provided insights on gender issues within existing land tenure systems in Africa (Ethiopia, Ghana, Kenya, Rwanda and Zambia) and Asia (Indonesia, Sri Lanka). The participants each provided a background paper (available on www.justnsustshelter.org) and delivered presentations and inputs in various forums over the two days. An assessment of how to best integrate gender into these kinds of forums, and a roadmap for possible future collaboration, was discussed during a wrap-up meeting on 18 June. There was consensus that more needs to be done to ensure that gender issues are profiled throughout meetings and events of this kind – from the opening statements to the selection of topics in dialogues and working groups. It was agreed that the problems related to slums clearly have a gender dimension and many slum dwellers are women with special concerns. Concerns about such issues as prostitution and HIV/AIDS are serious development constraints and need to be addressed within a gender-responsive context. Social issues, which are root causes of poverty, also need to be addressed, otherwise any effort to reduce poverty will not advance. The heterogeneity of women also needs to be more deeply addressed, and move beyond just talking about men and women. The complex nature of customary laws was raised, whereby many development partners and human rights agendas support these systems, yet such customs also often include negative practices such as discrimination against the girl child. Discussions on human rights need to be synchronized and the final impact on the ground is paramount. In Ethiopia, customary laws still exist and women are discriminated against. The court is often corrupt and favours men. The institutional set-up needs to be refined. In Rwanda, more than 53 percent of households are headed by women, and there are even children heading households. Given these situations, it is critical to think about an appropriate policy based on how people live in reality, which requires gender responsiveness, and to reflect that reality in the Rwanda National Land Policy. In Kenya, one of the reasons the draft constitution was rejected was women’s inheritance. Even women themselves voted against more inheritance rights for women. It was reflected that Kenyans had not sufficiently raised awareness of this critical gender aspect, and had left it to NGOs to put it on the table, rather than senior government officials. How can we counter these images and what strategy should we use? It was agreed that more case studies and documentation on these kinds of experiences are needed. Given the success of savings and credit schemes managed by women for micro-financing, it was questioned if this also can be transferred to land rights, e.g. move from common titling of property to property information mainly in the name of women. Create gender information/training campaigns as a joint Lantmäteriet–Swedesurvey–UN-HABITAT initiative. These should focus on advocacy and make use of existing training modules (e.g. those already developed by Lantmäteriet). 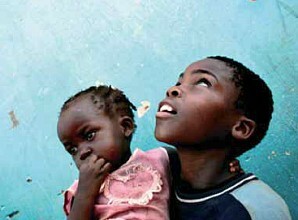 Encourage further research, especially on the gender and HIV/AIDS nexus in Africa. The gender issue is also one of the core values and priorities of the Global Land Tool Network stating that every tool must be gendered, as must the process of tool development. See the GLTN flyer on Gendering Land Tool development: www.gltn.net/images/About%20GLTN%20downloads/gltn_gender_060612.pdf. The wrap up of the seminar was organized to summarize the key points for moving forward the process of “improving slum conditions through innovative financing”. 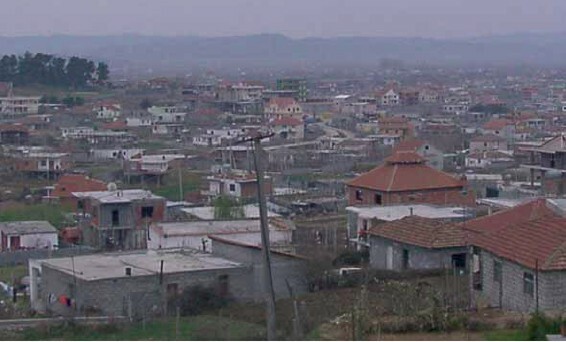 ‘Incremental’ finance – working towards a formal recognition of better access to formal credit for the urban poor in ways that keep the process affordable by using local micro-finance loan processes within cooperative-type financial intermediaries; these relate to the larger formal project loans from banks for ‘bankable’ upgrading and new housing projects developed by the urban poor themselves with the assistance of local finance facilities and are designed to be problem-solving multi-stakeholder bodies that incorporate commercial banks, government, professionals and the slum dwellers organizations. International experience shows that cohesive groups of low-income residents are better able to undertake the painstaking groundwork necessary to design and agree on ‘bankable’ upgrading and housing projects. 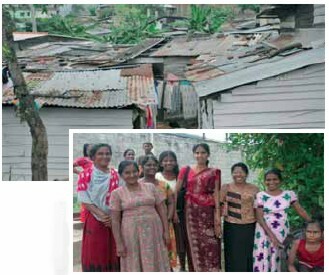 Savings schemes amongst the poor that are women-led can lead to recognizable common interest groups for housing that become the basis of more formal housing cooperatives able to utilize the savings as instant collateral against new formal credit arrangements from commercial banks, which view women’s savings as a sound evidence base for the affordability of their housing projects. In addition, collective projects put together by women’s groups are attractive to commercial banks since they reduce transaction costs and offer controls to perceived risk. Making sure that ‘planning’ is for the future, not the past, and thus is able to keep pace with the slum dwellers – this means planning for enough new land designations for the doubling in size of developing-country cities every ten years, with sufficient land for low-income residents, both existing and newcomers, be they migrants or new family members. Strengthening the quality of land governance to ensure that decision-making includes the perspectives of all relevant stakeholders, and that the decisions made also serve the needs of the poor. Convene consultations in select cities involving land professionals, finance experts, local authorities and the urban poor to identify opportunities for stronger collaboration to develop new loan products that meet the needs of all actors. Conduct more detailed research into the global experience and good practice in providing access to housing finance for people who have intermediate forms of land tenure. Bring experiences together in usable formats and publications both for the urban poor themselves and for their advisers and advocates, using Internet with local interpretation (language and technical) and local guidance. Encourage the inclusion of these issues in the curriculum for land surveyors and land-related professionals at the forefront. Encourage development of mentoring programmes for young professionals that aim to achieve increased awareness of land issues in this broader context of a huge land-based expansion of low-income urban dwellers. Copyright © United Nations Human Settlements Programme (UN-HABITAT) and The International Federation of Surveyors (FIG) 2008. The designations employed and the presentation of material in this publication do not imply the expression of any opinion whatsoever on the part of the secretariat of the United Nations concerning the legal status of any county, territory, city or area or its authorities, or concerning the delimitation of its frontiers or boundaries regarding its economic system or degree of development. Excerpts may be reproduced without authorization, on condition that the source is indicated. Views expressed in this publication do not necessarily reflect those of the United Nations Human Settlements Programme, the United Nations and its member states. 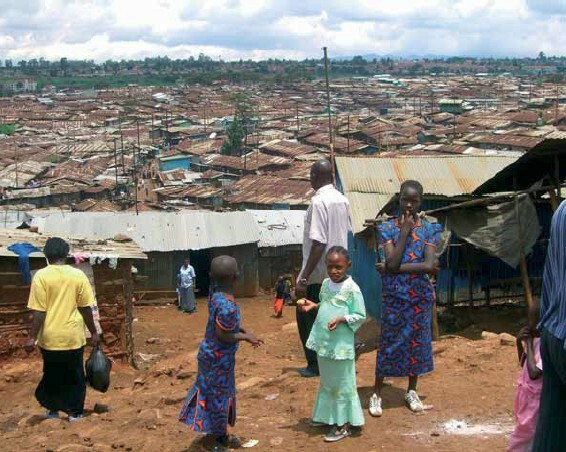 Improving Slum Conditions through Innovative Financing. 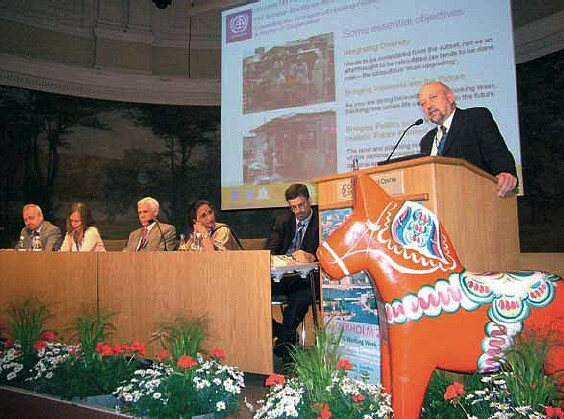 FIG/UNHABITAT Seminar, Stockholm, Sweden, 16–17 June 2008. Summary Report.